Perfectly designed. Maximum flavour and huge cloud potential. 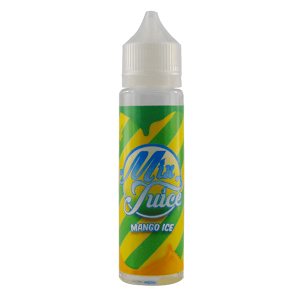 Mix Juice is the UK's Best Short fill e liquid and vape juice range! Mix Juice Menthol Sensation is without a doubt the BEST menthol e liquid I’ve ever vaped! So good! I am absolutely in love with the Mix Juice Raspberry Custard. I’ve always been a custard fan and this is now my fav! You can tell Mix Juice has put a lot of effort into creating their flavours. Everything I’ve tried so far has been amazing. Twister and Heisenberg are now my fav vape juices. Had loads of Hesienbergs but Mix Juice’s definitely the best. Honestly never had e liquids quite like these! They taste amazing. My number 1 is Blueberry Jam! Bigger bottles, stronger flavours, thicker clouds. That's the idea behind Mix Juice's range of short fill e liquids. Why does full flavoured, great tasting liquid have to be expensive? Well, the answer is - IT DOESN'T! 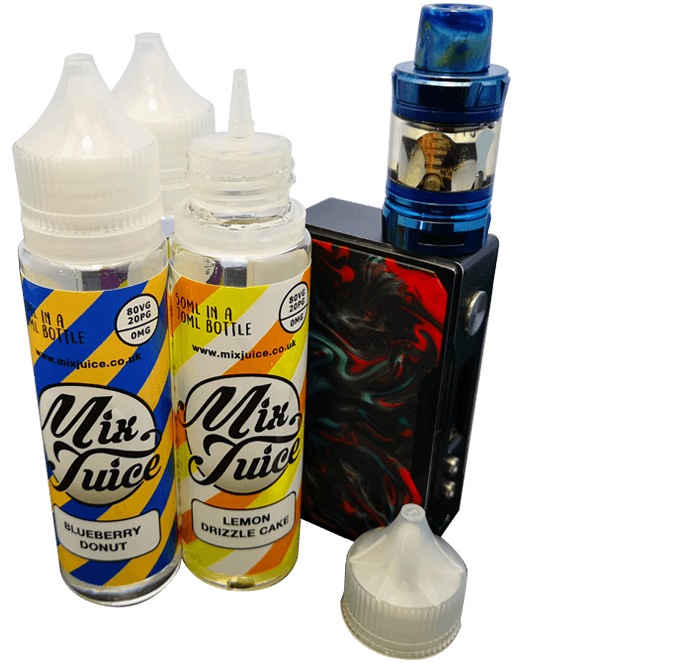 Mix Juice is a premium e-liquid at a discount price! Strong flavours, big clouds and great service combine to create an E-Liquid that everyone loves. And with 20 different flavours to choose from, there's something for all tastes in this full flavoured vape juice range. We’ve created 20 great tasting, distinct flavours of E Liquid that we’re sure we’ll be loved by vapers everywhere. Our 80/20 VG PG blend vape juice uses only the highest quality ingredients and flavourings to create a premium E Liquid packed with flavour. All our Short Fill E Liquids are nicotine free but available to purchase with a range of Nic Shot strengths to create your desired vape hit. Simply pour the Nic Shot into the Short Fill bottle and you’re good to go. No need to measure. We work with the best flavour distilleries in the UK to create our unique blends. The proof is in the vaping and all our Mix Juice Short Fill E Liquids taste exactly as you'd expect them to. All our Short Fill E Liquids are nicotine free. However, you can purchase your favourite flavour along with one or two vials of Nic Shot to create your perfect vaping strength.